It’s been a while since our last article about the August 17 Family Winemakers Tasting in San Mateo. But there are more good wineries to be reviewed. Our excuse for the delay is that there are only 168 hours in a week! 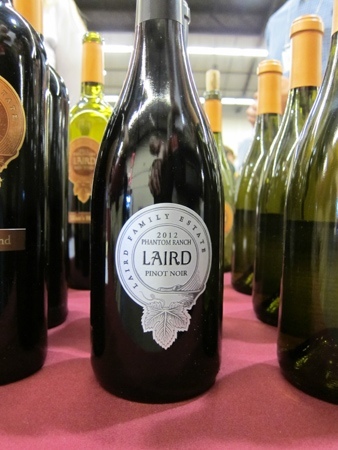 Laird Family Estate was another new winery — at least, new to us. Which shows how much we still need to learn. Before we get into who they are and what they do, let’s look at their 2012 Phantom Ranch Carneros pinot noir ($55 from the winery, don’t expect much of a discount in retail stores). The wine opens with aromas of black cherries and undertones of leather and chocolate. The palate is black raspberries, more cherries, and a hint of spice. Smooth tannins create a long, marvelous finish. The wine is an excellent representative of Carneros pinots, with bigger and bolder fruit expressions than the various Sonoma and Mendocino County appellations. With just 875 cases produced, you’ll need to move fast to acquire some of this one. Phantom Ranch is a new vineyard. In fact, this is only the second vintage. Winemakers Paul Hobbs and Julian Gonzalez have done an outstanding job with the fruit from these relatively young vines! Laird Family Estate is a subsidiary of Laird Family. Rather than give a detailed history here, we’ll refer you to The Napa Wine Project’s excellent, detailed recounting (thanks, David Thompson!). The Laird Family is mainly wine grape growers. In 1970 Ken Laird set his sights on 70 acres of ancient prune trees near Tubbs Lane in Calistoga (north end of the Napa Valley). Knowing nothing about grapegrowing, but with a long history in agriculture, Ken was smart enough to call a consultant. Plus he was about $150,000 short of cash. He picked up a phone book, found eight listed wineries, and called the only one he had heard of: Robert Mondavi. Oh. Well, that’s not so bad! Mr. Mondavi agreed to walk the property. After discussing soils, vines, yields, irrigation, and pruning, he agreed to finance the deal with Ken as long as the vineyard was planted 50% gamay and 50% cabernet sauvignon. 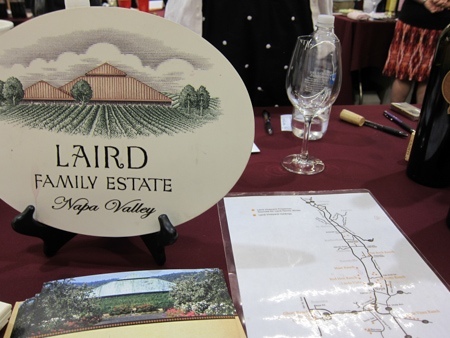 That was the beginning of Laird Family’s history in the Napa Valley. In the early 1980s, Ken made another smart move. He bought the first land in Carneros. At that time, property in that region was believed to be only useful for grazing sheep. Wrong. Today, of course, Carneros produces its own distinctive style of pinot noir and a few other varietals. Today Laird Family owns 2,000 acres scattered throughout the Napa Valley. They are mainly growers, using about two percent of their grapes for Laird Family Estate production. Annual Laird Family production is about 12,000 cases spread out over 13 SKUs. Laird also offers custom crush, with about 60 wineries using these services. 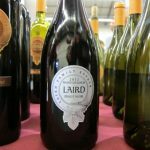 And they offer Laird Wine Services, a storage facility that can accommodate 2.5 million gallons of bulk storage and up to 50,000 cases of in-bottle wine. Our story begins nearly sixty-four years ago outside of South Boston Virginia as twelve-year-old Ken Laird drove his mule wagon through tight rows of sticky, fit-to-be-harvested tobacco leaves. As the gooey bundles were thrown up onto the wagon, little Ken led his mule team to the curing barn. It was there, with his grandmother, great uncles and cousins, they would stoke smoky curing fires for their prized tobacco. 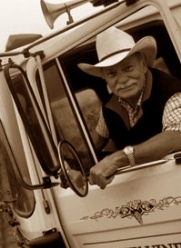 Ken would be the third generation Laird to carry on the farming tradition. While growing up to be a big city mechanical engineer in New York City, Ken held on to family tradition by buying his first Napa Valley parcel in 1970. This neglected piece of land, adjacent to Tubbs Lane in Calistoga, held 70 acres of worn-down prune trees. With Prohibition forty years gone and Napa Valley positioned to re-emerge as viticulturally significant, Ken decided to develop the orchard into a grape vineyard. Owner Ken Laird is still the CEO. 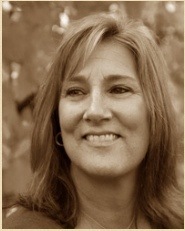 Rebecca Laird is the General Manager. They are very private. I won’t steal from David Thompson, but if you want more details you should read his article at The Napa Wine Project. A few years ago we spent several weeks in the Santa Ynez Valley. We discovered Terravant in Buellton. Laird Family’s enterprises look like a smaller scale version of Terravant. Except, of course, that Terravant doesn’t grow grapes. On our next trip to the Napa Valley we’ll make it a point to make appointments with the Laird Family.